To create an area within this stunning new building which enables comfortable communication for a variety of occasions, catering for both privacy and mass meetings and events. Hive was used to create four intimate, visually and acoustically screened meeting areas. 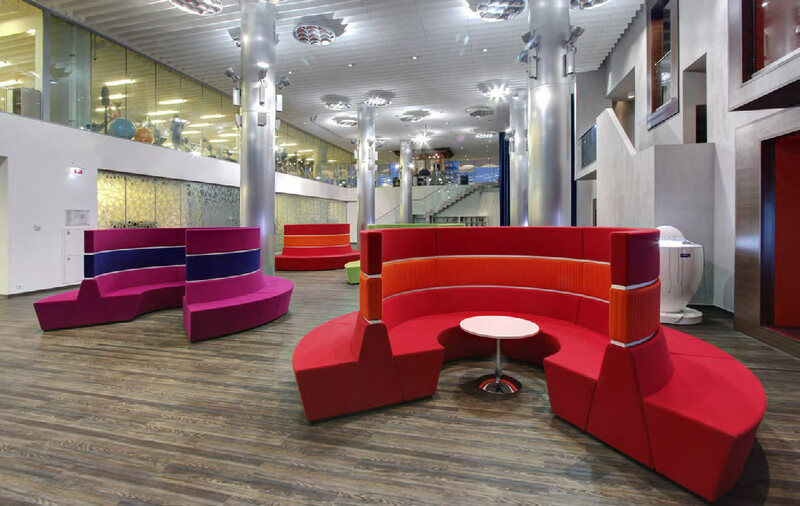 Outer benches provide a place to rest without disturbing users of the internal benches, and bright colours create a much more lively open space. The huge atrium within Mail.ru’s headquarters has been transformed from a shell into a lively environment with multiple meeting and collaboration areas.